We have pulled together a handy guide of places you can see Santa locally in West Leeds over the next few weeks and lots of the below are suitable for younger children. Cost: £4.50 for Santa’s grotto (includes present). Normal admission price still applies. No pre- booking required, suitable for younger children. See Santa’s Parade, a Pipe Band and Fireworks at the Christmas Lights Switch On this year. The Christmas market will have 13 stall,s including Santa’s Grotto & facepaints! The parade starts at 6:30pm and the market opens at 7pm. No booking required. Suitable for toddlers and pre-school children. Join the Rainbow Factory on an enchanting journey as they adventure with Santa’s Elves to help get everything ready for Christmas. Step into Santa’s Workshop to make, bake, play and sing before getting to meet Santa himself! Pre- booking required, suitable for younger children. Santa is coming to Cottonbudz. £8.50 per child / £4.50 for under 1’s wishing to visit Santa and get gift. The price includes: 90 minutes use of Cottonbudz, a visit to Santa and a gift from Santa plus a Christmas party bag. 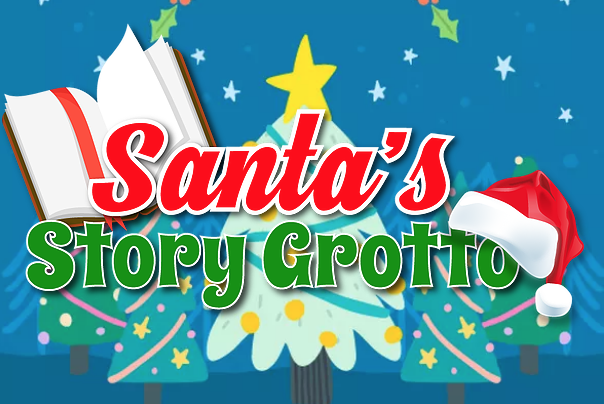 Father Christmas is coming into Leeds Central Library for a wonderful Christmas storytime with songs! Each child will receive a special keepsake Christmas book which Father Christmas will personally sign during a magical meet and greet. Children can also get creative with an assortment of festive crafts throughout the afternoon. Santa’s personal assistants will take you behind the scenes in this never-before-seen grand tour where you’ll get to meet Santa and, if you show your backstage pass, then you can enter his toy shop to pick your own gift! Kidz will get the chance to make there own magical reindeer dust and to meet Santa himself and receive their own personal gift. Visit Santa in his grotto from 10.30am-4pm, receive a surprise gift, have your face painted and make a Christmas craft, all for £6.50. (Book on arrival). A great day for all the family, with many stalls selling Christmas decorations and gifts, even Christmas trees. The farm shop will be filled with Christmas treats and the Granary restaurants festive food will be served from 9am-5pm. 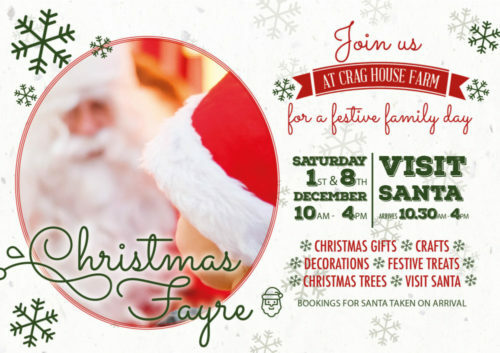 Cost: Free entry to the Fayre and visit Santa for £6.50. No pre-booking required and suitable for younger children. Ho Ho. Who’s there? He’s merry. He’s jolly…..He’s everything that rhymes with holly! Come and say hi to Santa in his grotto. £5 per child, including gift! *£1.50 online booking fee per family. Suitable for toddlers and pre-school children.